This versatile Cellphone, ID Holder, Passport Holder, Travel Bag is a wonderful addition to any woman's wardrobe. 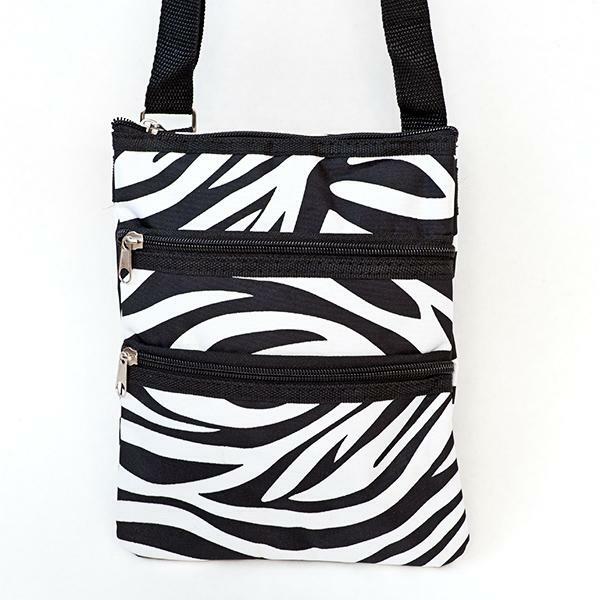 This beautiful Zebra print bag ( pictured) measures 8 inches tall by 5 and 3/4 wide. Two zippered compartments can hold passports, cellphones, ID's, credit cards and even a tube of lipstick. Made of Micro Fiber. Now available in Leopard, please specify color when ordering, Leopard / Cheetah not pictured, see PUR06. Available with lips phone order only on lips.